Why are we studying frogs in the School of Public Health? Jennifer Shelton from the School of Public Health reflects on a recent field trip to Taiwan which involved studying amphibians. Close your eyes and imagine the high-pitched shrieking of cicadas unified in a crescendo of noise from the treeline. Fireflies blinking their fluorescence through the undergrowth. Bats swooping silently overhead, rustling your hair with their wing beats. Trekking across steep hillsides of wasabi plants during a rainstorm. Not the average working week of a researcher in the School of Public Health, but just some of the sights and sounds I was fortunate to experience when I visited Taiwan in May as a National Geographic Young Explorer. The aim of my 10-day visit was to collect and swab as many tadpoles, frogs and salamanders as possible. Why, you ask? Tragically, amphibians are being struck down by a fungal plague. In the past 20 years there have been global biodiversity losses, mass mortality events and the extinction of over 200 frog species attributed to chytridiomycosis—a disease caused by the fungal pathogen Batrachochytrium dendrobatidis (Bd). To give you an idea of scale, some researchers are referring to this outbreak as the sixth mass extinction event: something on a par with the dinosaur die-off 66 million years ago in terms of species lost. More recently emerged is its sister pathogen Batrachochytrium salamandrivorans (Bsal), which is causing the deaths of European fire salamanders in the Netherlands. It’s estimated that populations have declined by nearly 20% per year since 2008, leading Bsal to be described by some as the ‘perfect pathogen’. The purpose of collecting skin swabs from Taiwanese amphibians is to determine the prevalence of Bd and Bsal on the island. The technique is non-invasive and does not harm the animal. This means that all species can be swabbed, including those classified as Threatened or Endangered by the International Union for Conservation of Nature’s Red List. Testing a skin swab will tell me whether or not the animal is infected, as well as what lineage it is infected with. Of the six Bd lineages, five are endemic and do not harm the amphibians they infect. However the deadliest of them, Global Panzootic Lineage (BdGPL), is responsible for worldwide mortalities. After swabbing, I also toe-clipped frog species that are widespread on the island and attempted to culture Bd, if present. A Bd culture grown from a toe can have its whole genome sequenced and compared to isolates collected from other parts of the world. Determining which isolates are the most and least genetically similar is helping us to understand where Bd likely originated from and how it has spread so rapidly across the globe. Potential sources of Bd infection in Taiwan are the amphibian pet trade, frog farming for the food industry, and the import of non-native species for zoo exhibits. If infected animals escape or are released from these locations they can transmit Bd to wild amphibians with potentially catastrophic consequences. Researchers from Taiwan’s Endemic Species Research Institute are currently monitoring the island’s amphibian populations and have not observed any disease or death due to chytridiomycosis. If Bd or Bsal are present in Taiwan this could be exciting or sad news, depending on the lineage. Exciting news because a novel lineage may have originated in Taiwan and co-evolved with amphibians without causing disease, and could protect them against the virulent BdGPL. If it turns out to be BdGPL it would be sad news, because it could have been recently introduced to the island and is becoming established. In this case, mass mortalities are likely to be observed in susceptible populations over coming years. As a Research Assistant working for Matthew Fisher, Professor of Fungal Epidemiology in the Department of Infectious Disease Epidemiology, I am developing a pipeline for screening fungal communities — also referred to as the mycobiome — on amphibian skin. The idea is to look for correlations between fungal species in infected and uninfected animals to identify fungi that could protect frogs from chytridiomycosis. These fungi could then be introduced into amphibian habitats and act as a ‘natural vaccine’. This approach is also being applied to bacterial communities — the microbiome — in the hope of finding topical ‘probiotics’ that may protect amphibians from infection. When I talk to people about my job they ask me: “why save the frogs?” Many people don’t realise the important roles they play, both environmentally and in human health. Amphibians are a crucial part of the ecosystem where the biomass of tadpoles and frogs provide food for insects, fish, snakes, birds and monkeys. They also eat large quantities of insects, including disease vectors such as mosquitoes. They are bio-indicators: their permeable skin easily absorbs toxic chemicals making them incredibly sensitive to environmental disturbances such as pollution – unhealthy frog populations can give early warning of an unhealthy waterway. As part of their innate immune response, frogs secrete a plethora of chemicals from their skin that are capable of killing bacteria, viruses and fungi. These chemicals have been incorporated into traditional remedies for ailments such as infections and bites and are now being screened for their potential medical benefits, in particular antibiotic activity. Unfortunately Bd is driving many frog species to extinction before they can share with us their secrets for survival, which have arisen during 300 million years of evolution. For example, one substance isolated from skin secretions of the foothill yellow-legged frog shows promise for killing the deadly ‘superbug’ methicillin-resistant Staphylococcus aureus (MRSA) bacteria, but this animal is now nearly extinct in the wild. Already extinct is the Australian gastric-brooding frog that was able to turn off acid secretion in its stomach to create a womb for developing its young. This frog may have given us the answer for curing stomach ulcers or preventing acid reflux, but is now gone forever because of Bd. Finally, I would argue that we have an ethical obligation to prevent these amphibian declines because we are responsible for pollution, habitat loss, introduction of invasive species and the pet trade – all factors that have allowed Bd to spread around the world and establish itself so rapidly. Many people ask why we study frogs and amphibians within the School of Public Health. 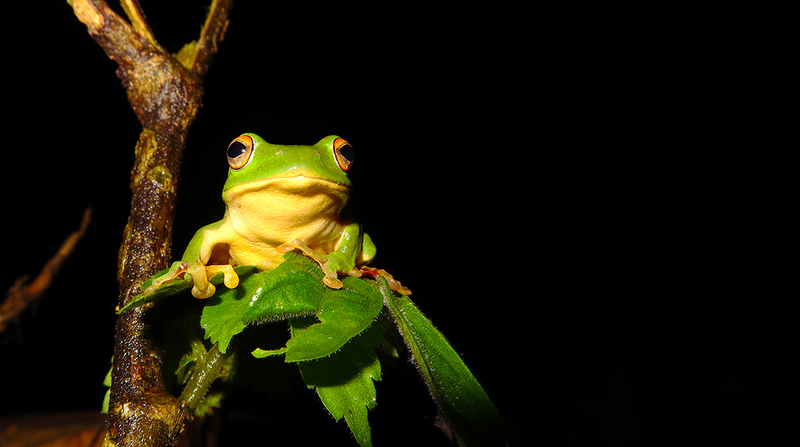 Our work understanding amphibian fungal diseases may help us prevent tomorrow’s emerging plant pathogen that threatens global food security or cure human fungal diseases that, combined, cause more deaths annually than either tuberculosis or malaria. 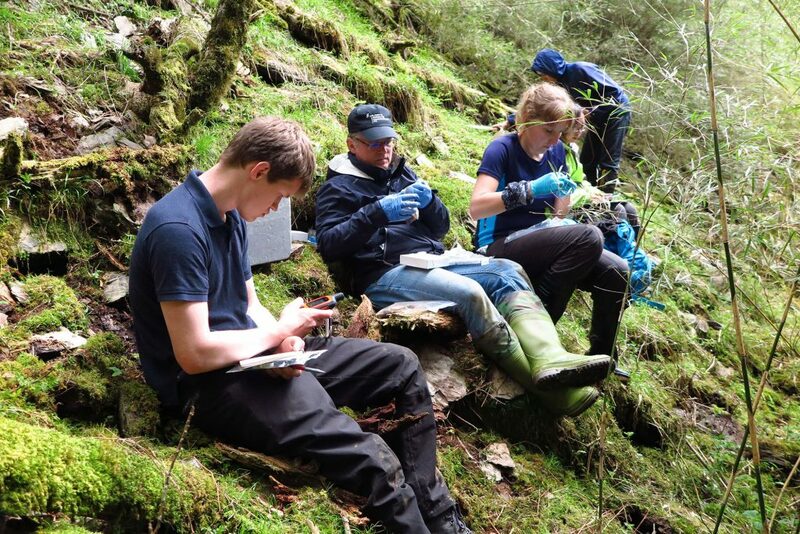 We work closely with colleagues within the Department of Infectious Disease Epidemiology, the wider School of Public Health as well as across Imperial College London and external collaborators to be better prepared for the monitoring, detection, diagnosis, prevention and cure of future outbreaks before they become major issues on a global scale. Fieldwork is very rarely the work of a single individual and this trip has been no exception. I wish to thank Dr Dirk Schmeller of Helmholtz-Center for Environmental Research (UFZ) for inviting me along on his fieldwork in April 2016, which inspired me to pursue my own funding to return to this beautiful island and continue researching Bd. Also a huge thank you to Lin Chun-Fu (a.k.a. Spring), who is the font of all knowledge regarding Taiwanese amphibians, and his wonderful field assistants Yeh Ta-Chuan, Lin Yi-Lun (a.k.a. Fish) and Chen Sin (a.k.a. Sharon) of Taiwan Endemic Species Research Institute (TESRI) for their hospitality, enthusiasm and assistance in catching the frogs and salamanders. Finally, thank you to National Geographic and private donor for choosing to fund my project and for making this fieldwork trip a possibility. Jennifer Shelton is a Research Assistant in the Department of Infectious Disease Epidemiology in Imperial’s School of Public Health. I enjoyed your write up, sent on by Matthew,and hope you get the grant money for the mopani tree link. Frog is important species in the ecosystem. Due to anthropogenic activities their population are in steep decline.